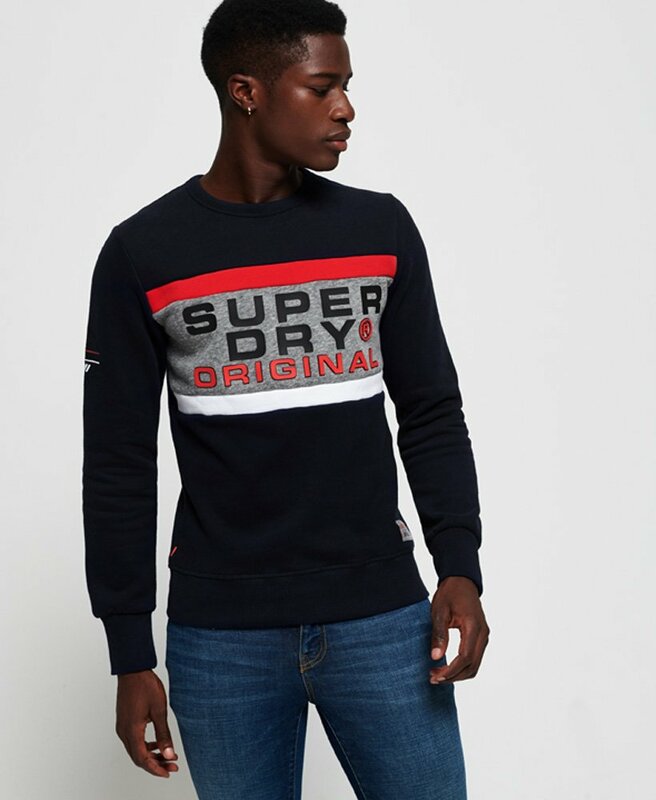 Superdry men's Trophy sweatshirt. This sweatshirt is the perfect on-trend layering outfit to have in your wardrobe this season. Featuring a crew neckline, a rubberised Superdry logo across the chest and ribbed cuffs and hem for a nice fit. For the finishing touch, this sweatshirt also features a Superdry patch above the hem. Team this sweatshirt with joggers for an athleisure outfit, or partner this sweatshirt with jeans and trainers for an off-duty look.